We designed our two-day roadtrip from New York to Buffalo so we could stay in Syracuse overnight to see the fabulous Niagara Mohawk Power Corporation building. The building did not disappoint us and after dinner we went back to check it out in all its floodlit glory. 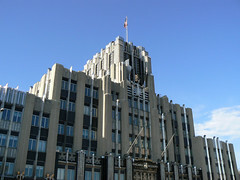 Designed by Buffalo architectural firm Bley and Lyman for Niagara Mohawk's predecessor the Niagara Hudson Power Corporation, construction was completed in 1932. The exterior facade features a large stainless steel figure as well as other decorative elements on the spandrels between the windows. In the lobby there are four vitrolite panels bearing stylised murals relating to various aspects of power generation. These are titled Gas, Illumination, Generation and Transmission. There is no doubt, however, that my camera kept returning the 'Spirit of Light' as the figure on the façade was named as a result of a competition. If there is any doubt that Lonsdale House has been approved for demolition because a lane-widening project you have to look no further than the words of the developer Colonial First State Management Company. 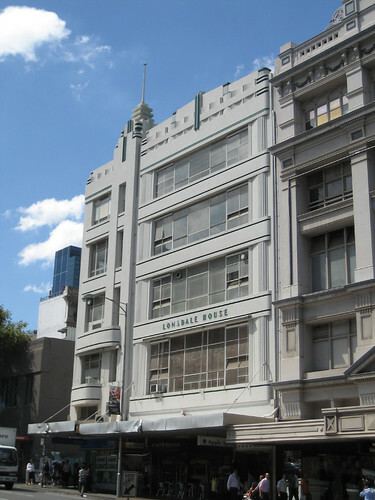 They are quoted as saying "Caledonian Lane needs to be widened to cater for the servicing requirements of this part of the city's retail core, and this necessitates the demolition of Lonsdale House". Shaun Carney has written an opinion piece 'A piece of history is demolished for a slice of retail sameness' in The Age this morning which outlines why he thinks the 'reasons given for revamping this part of the city are spurious'. I find it hard not to agree with him but read the article and make up your own mind. If the developer can get their head around preserving Lonsdale House and finding another way of getting the goods to the shops efficiently, what can they do? They don't have to look very far for inspiration. 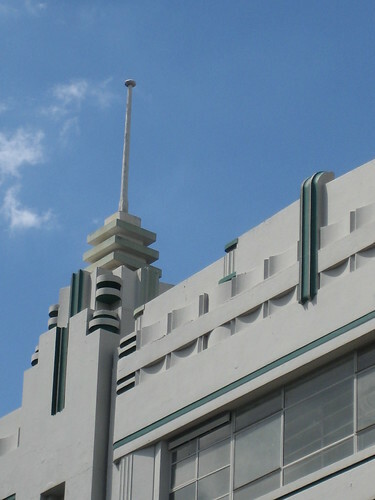 These are examples of Art Deco buildings in Melbourne that have all found a new life, while maintaining their historical and architectural context. 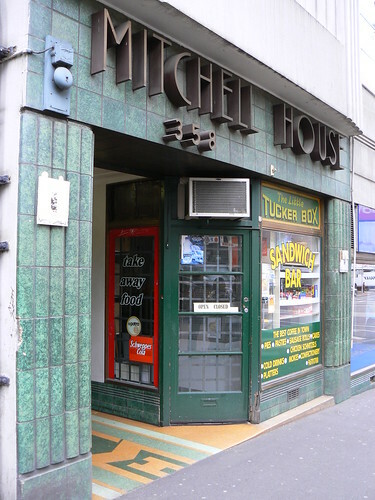 The Age is reporting that the Victorian State Government through Planning Minister Justin Madden has approved the demolition of Melbourne's iconic Lonsdale House to allow Myer to widen the laneway so they have better access for their delivery trucks. Justin Madden said Lonsdale House would 'make way for an iconic new entrance and improved access'. Time will judge whether this becomes an icon or just another entrance to a shopping centre. 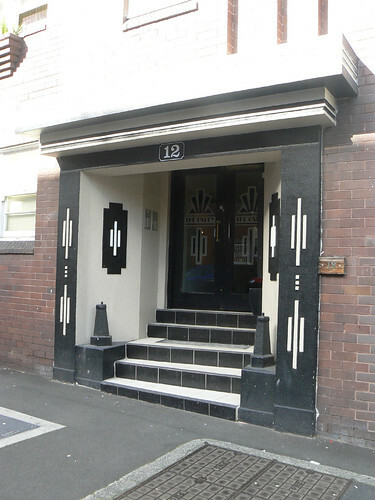 President of the Art Deco and Modernism Society, Robin Grow, was very disappointed by the decision to demolish Lonsdale House and that the City of Melbourne had done little for the building which is protected by a heritage overlay. This is a very sad day for Melbourne. 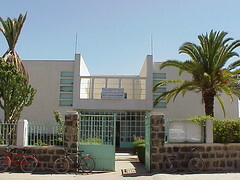 Asmara is home to a wonderful institution that was probably built during the 1950s when a lot of American personnel were stationed there as part of the United Nations presence in Eritrea. 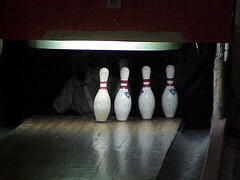 It is a bowling alley, a manual bowling alley. When you play there, you get assigned a young boy who skips down behind the pins and resets them after each ball is bowled. It is fair to say it is a nerve-racking experience just making sure he is out of the way before you take your next shot. You can just make him out behind the pins in this grainy pic. And there was a rut in the lane which meant I only got 4 pins. That's my story am I'm sticking to it. Across the road from the Bowling Alley, however, is an amazing Modernist building. 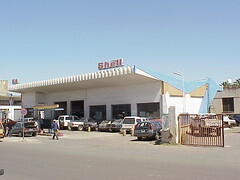 The Lonely Planet guidebook rightly calls it the Zig-Zag Garage. As you can see from the photo it is a mass of triangles and zig-zags. 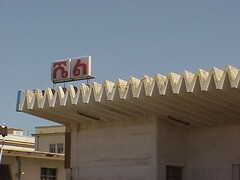 Asmara is full of Modernist buildings and this service station can hold its zig-zag roofline high amongst this elevated company. Lonely Planet say '...there's probably no other building like it in the world'. 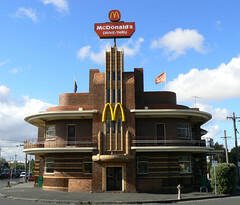 Out on the Stirling Highway in the Perth suburb of Nedlands is a fabulous Art Deco building. 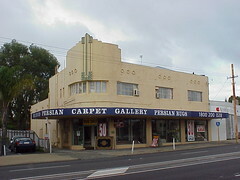 I don't know what it was in its former life but these days it is a Persian Carpet Gallery. Maybe someone in Perth can enlighten me to the history of the building. The best feature of the building is the vertical decorative panel on the curved parapet above the main entrance. 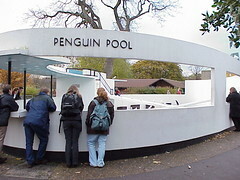 The old Penguin Pool at London Zoo, dating from 1934, is a fabulous Modernist building designed by Berthold Lubetkin and architectural firm Tecton. Unfortunately it is not so fabulous as a place to keep wildlife. The spirialing ramps and open egg-shaped enclosure provide little shade and according to stories, provided little protection from predators such as urban foxes. I visited on a grey day in 2001 and it was looking a bit sad. As you can see there are more seagulls than penguins. 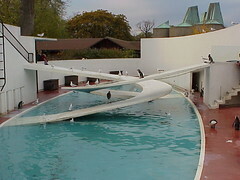 The building is Grade I listed and therefore protected so now that the penguins have a new more suitable enclosure, Lubetkin's pool has been restored as an elaborate water feature. 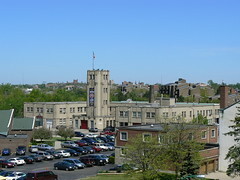 I saw the Buffalo Fire Department Headquarters from the distance when heading off to the City Hall and never got back to explore it in more detail. 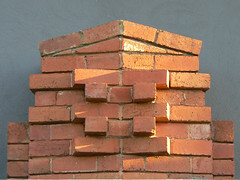 Web sources such as this and this one list the building as being constructed in 1931 and although it no longer houses an active Engine, it is still used by the Fire Department. 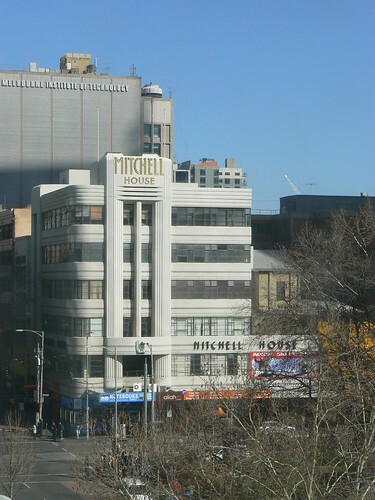 Mitchell House is a landmark Art Deco building at the intersection of Elizabeth and Lonsdale Sts in the Melbourne CBD. The building was constructed in 1936 and the design of Harry Norris has produced asymetrical building which is 'squared off' at the extremities of its 'L' shape yet it curves around the corner site. 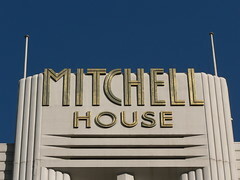 It features strong horizontal lines in the horizontal spandrels and bands of windows punctuated with main tower on the Elizabeth St facade topped with the name 'Mitchell House' in gold lettering and a lesser tower marking the entrance to the lift lobby on Lonsdale St. The ground floor consists of shops including this sandwich bar which could have been here forever. 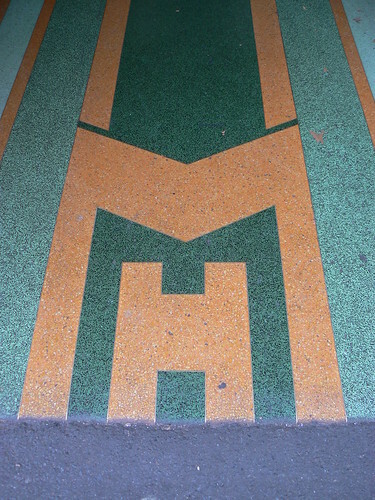 Note that the name of the building is spelt out in deep relief lettering above The Little Tuckerbox takeaway and an 'MH' monogram is incorporated into terazzo flooring of the entrance. 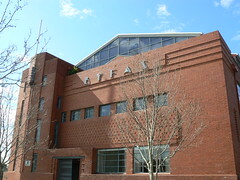 Elizabeth Bay is nestled on the shores of Sydney harbour, a desirable place for an Art Deco apartment. 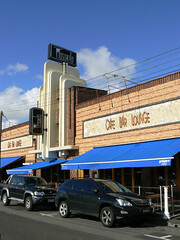 This is The Oxley in Ward Avenue. 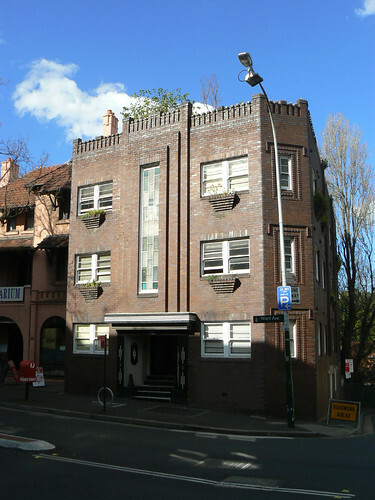 Most of the decoration on the facade comes from the arrangement of standard dark coloured bricks as can be seen above the windows on the squared-off corner and the stepped window boxes on the four upper floor windows on the front. 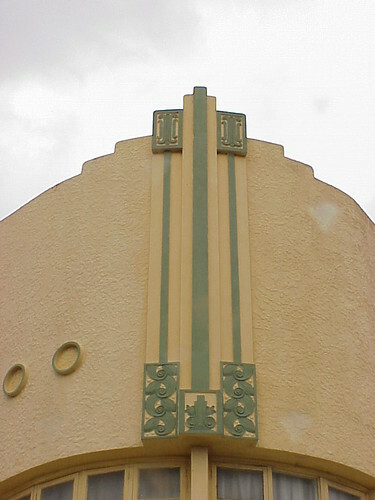 Colour is introduced around the front entrance, albeit in the form of black and white Art Deco patterning in the tiles and paintwork. It is almost as if the doorway belongs to another building altogether. Today saw the second Melbourne Open House with 32 buildings open to the public for free. 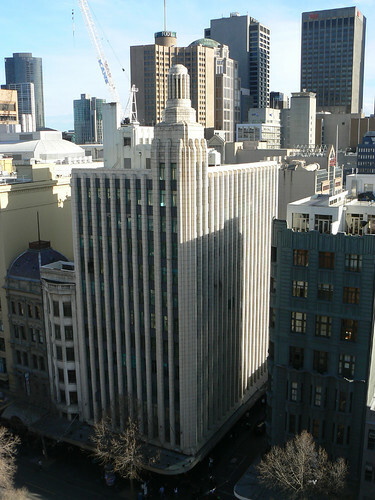 Personally, there were not many Art Deco buildings on the list but I did pop into the T&G Building, 271 Collins St (formerly Head Office of the National Bank of Australasia), The Donkey Wheel Building and Melbourne City Council House 2 (CH2). I would have liked to have seen the Russell Pl substation but the queues were too long and I had a football match to get to. 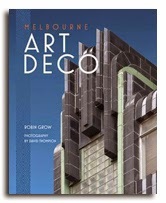 Likewise with the Manchester Unity queue stretched halfway along Collins St but then I had seen it last year and then subsequently had the board room to myself when I photographed it for Robin Grow's book, Melbourne Art Deco. I was very pleased to get in to see Council House 2. It is a 6 star green building and it was very interesting to here the 15 minute presentation on how the building conserves energy through passive heating and cooling as much as possible. 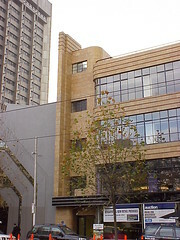 The Melbourne Council also try to make the best use of the electricity and gas that they do use through the use of eco-technology. They also harvest water from the roof and have an on-site water treatment plant which takes balck water from the sewer in Collins St and treats it to drinking water level so it can be used to flush toilet and water plants. But the best part of CH2 was getting into the roof garden which, in one corner, overlooks Swanston St giving eye-level views the towers of Manchester Unity (1932) and the Century Building (1938-40), both designed by Marcus Barlow. 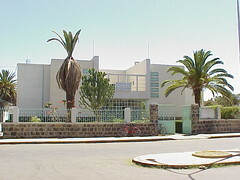 For a few short years at the end of the 1930s, perhaps lasting through the Second World War, this incredible Modernist building was, according to Denison, Yu Ren and Gebremedhim in Asmara, Africa's Secret Modernist City, the most exclusive brothel for Italian officers. 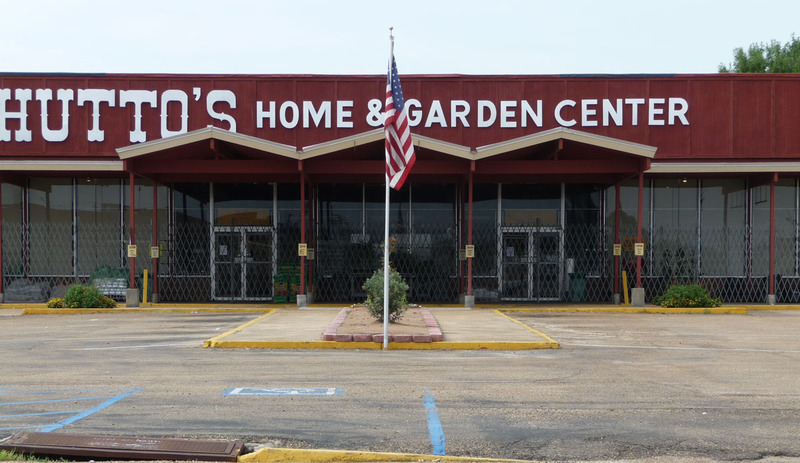 At that time is also housed a bar and casino. Today it is the office of the Ministry of Land, Water and the Environment. For 15 of its 16 storeys, the Concourse Building is a grey as many other buildings in Toronto's financial district. 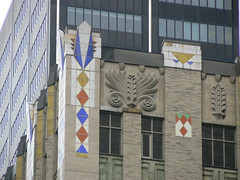 The decoration on the 16th floor, however, and around the arched entrance at street level make it one of the more colourful Art Deco buildings in Ontario's capital. 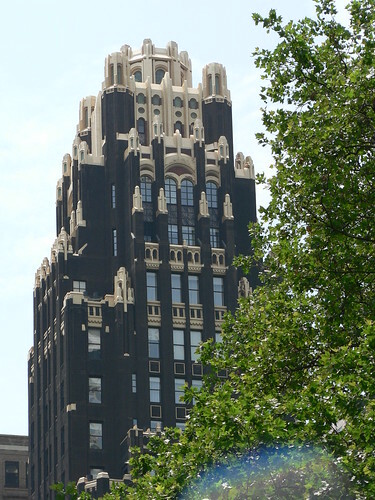 Designed by architectural firm, Baldwin & Greene, the building was completed in 1928. 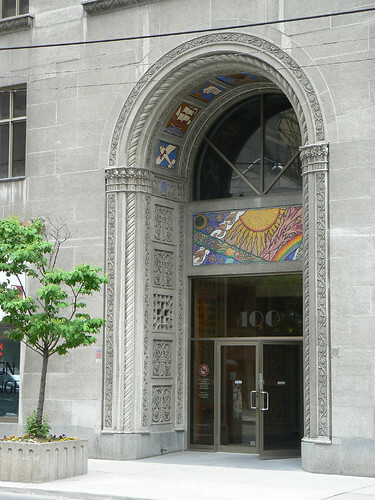 The mosiacs around the entrance were completed by Group of Seven artist J E H MacDonald and his son Thoreau. 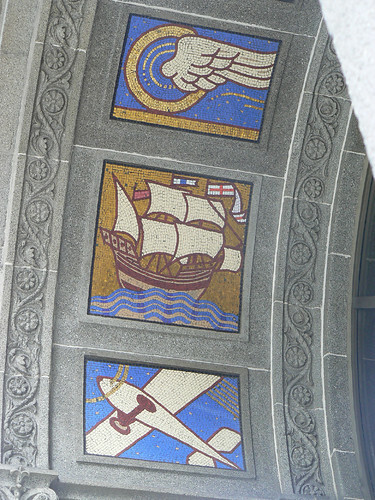 The mosiacs around the under-side of the arch portray themes of transport, industry and nature. 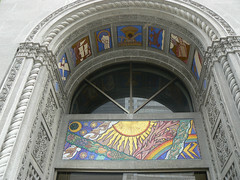 The rectangular panel above the door also bears thems of flora and fauna plus the sun, stars and a rainbow. In the bottom left corner the artists initials and the year 'J.E.H.M '28'. According to Tim Morawetz in his recently published Art Deco Architecture in Toronto the future of this skyscraper is in doubt due to a May 2000 vote by the Toronto City Council gave a developer the right to demolish all but the bottom three storeys. Hopefully in the past 9 years opinions have changed and the Concourse Building will live on for many more years with its distinctive, colourful roofline. 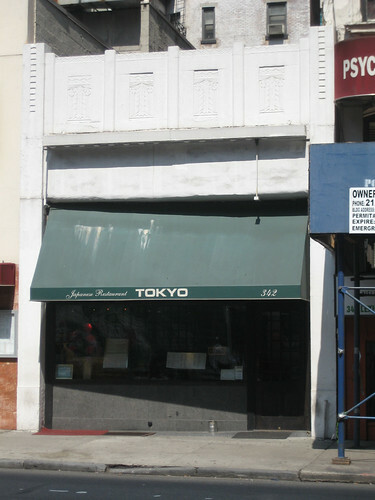 Tokyo Japanese Restaurant on Lexington Avenue occupies a sweet little Art Deco building. It is hard to beleive this restaurant is close to the Chrysler Building, probably the most recognisable Art Deco building in the world. 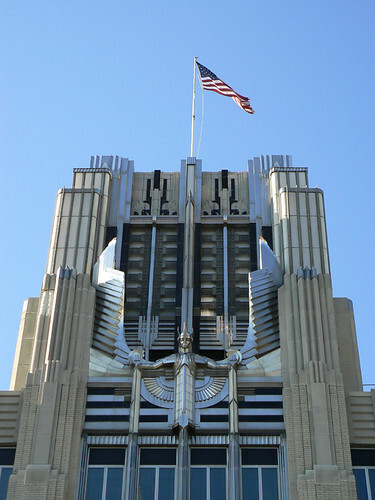 It just highlights the range of Art Deco architecture. Lonsdale House, Melbourne - Demolition by Neglect? 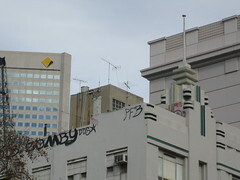 In recent weeks graffiti has appeared high on the side wall and upper floor windows of Lonsdale House, a fabulous Art Deco building in Melbourne. Even the iconic tower now has graffiti. I have written about Lonsdale House before. 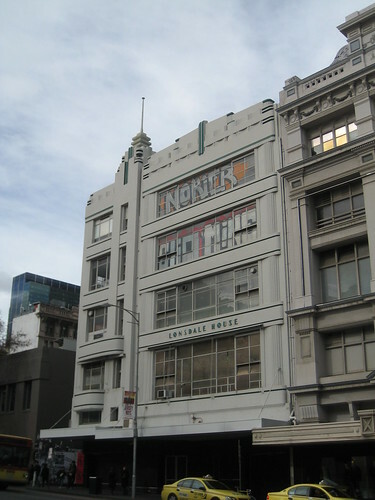 The building is owned by Myer who along with their corporate bankers, Colonial First State Management Company, want to demolish the building to give their trucks better access to their nearby department store. They have now applied to the Minister for Planning, Justin Madden, for a demolition permit. In the meantime though, while the Minister determines what decision he will make, shouldn't the owners have a duty of care to secure the building and protect it and those who gain access to it from coming to harm. Today's photos, especially compared with an earlier shot at bottom, paint an ugly picture. Are these signs of demolition by neglect? The most striking feature of Carr Hall is octagonal tower housing the stairs to the upper levels. 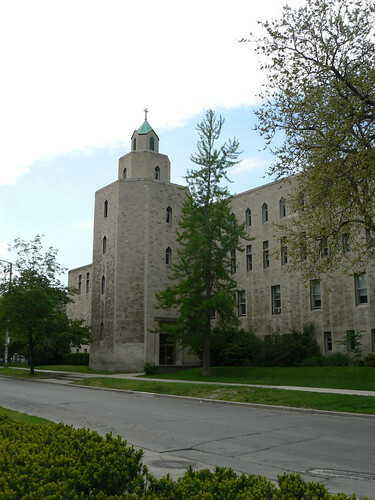 Completed in 1950 by Ernest Cormier with Brennan and Whale, Carr Hall was constructed as the administration building of St Michael's College at the University of Toronto. 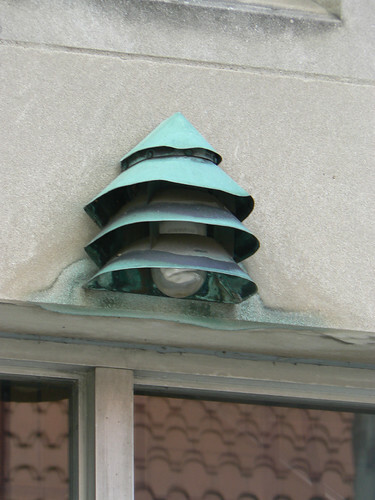 Decoration is scarce at Carr Hall but I do like this pagoda style external light fixture. 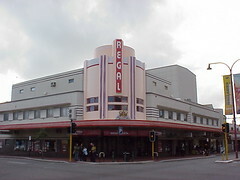 According to Vyonne Geneve, President of the Art Deco Society of Western Australia, the Regal Theatre in Subiaco is unique in WA as it is the only theatre still standing which opens onto a road intersection. 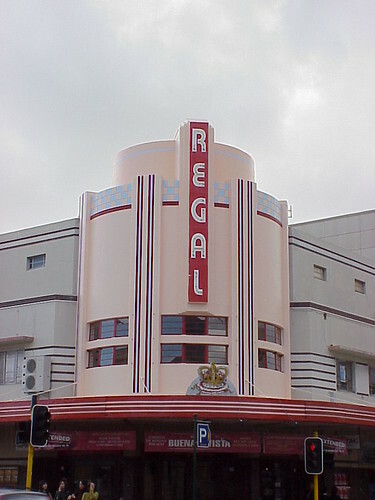 The design of the Regal has been attributed to architect William G Bennett. It opened on 27 Apr 1938 showing Love Under Fire with supporting feature Shall We Dance starring Fred Astaire and Ginger Rogers. 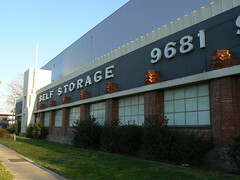 This Art Deco building in Port Melbourne, now used by a self storage company, was BALM Paints for much of its life. BALM, British Australian Lead Manufacturers, made paint products for the automotive industry located nearby on Fishermen's Bend. 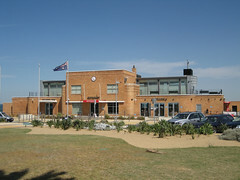 The Port Melbourne Walk booklet produced by the Art Deco and Modernism Society indicates the factory was built in 1937 and refers to Hardie's Fibrolite Roofing Catalogue from November 1937 which lists W J Grassick as the designer. 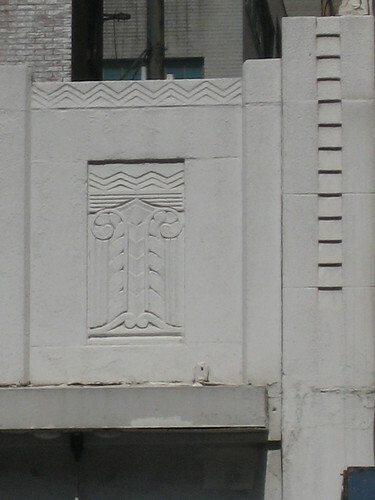 The building has some nice deco features such as the elaborate capitals on the brick columns between the windows along the facade. 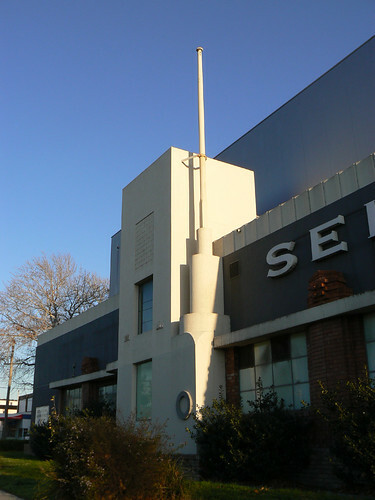 There is also a neat solution to making the flagpole standout on a low slung structure. 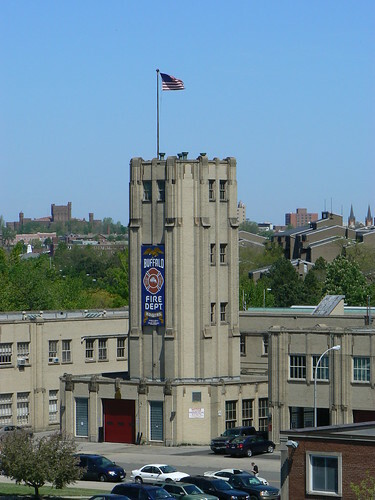 In this case, the facade is interrupted but a squat tower bearing a porthole motif and a monumental tiered base for the flagpole. 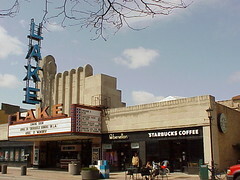 The Lake Park Theatre in Oak Park, Illinois is a classic Art Deco cinema. 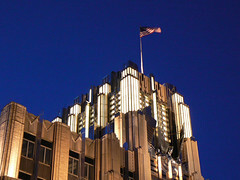 It was designed by architect Thomas Lamb and opened in 1936. 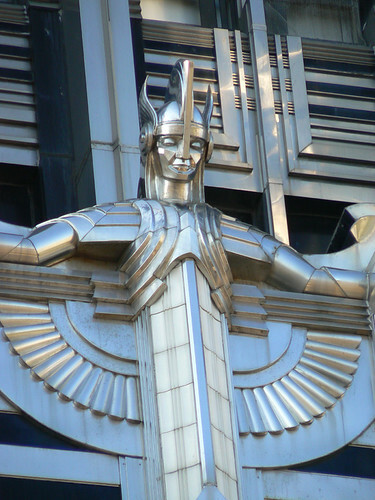 In recent year it has been turned into multiplex but it has become home to many decorative features from other cinemas around Chicago that have not survived the onslaught of modern entertainment. I love the contrast of the black brick against the gold decoration and embellishments. 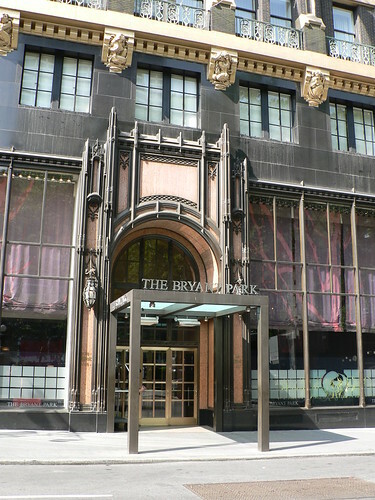 Originaly the American Radiator Building, this Art Deco building was designed in 1924 by architect Raymond Hood and now serves as the Bryant Park Hotel.